ROS DXCC Awards for 25-50-75-100 are available for the E.R.C. Members. The actual record is for the E.R.C. #0001, Arkady Grikurov RN6AM. 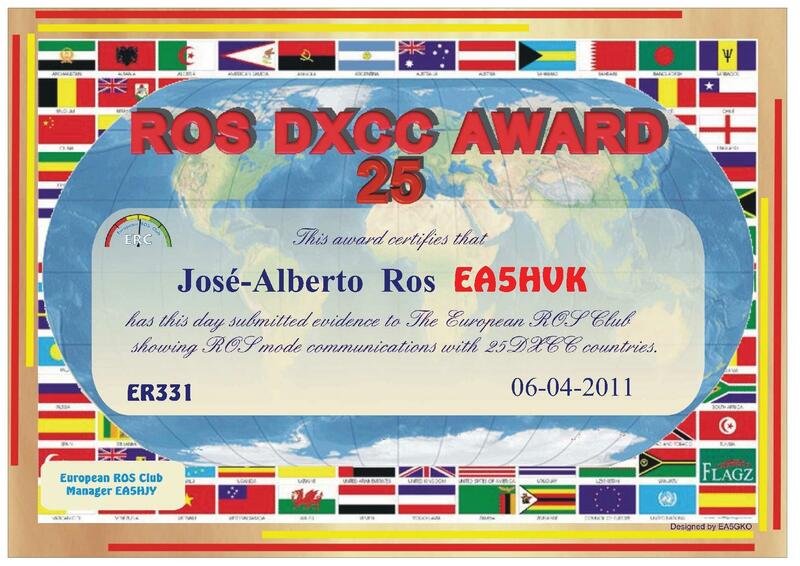 He has got 91 DXCC in the first year of ROS Mode. 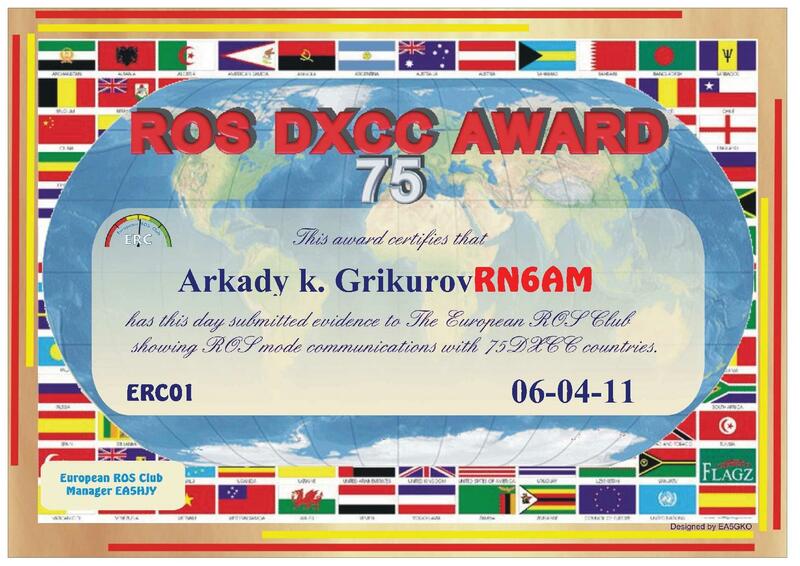 I am sure he will achieve the 100 DXCC ROS Award. Awards design by EA5GKO. Many thanks. With this tool you can get the Coverage Area Map for each Band. 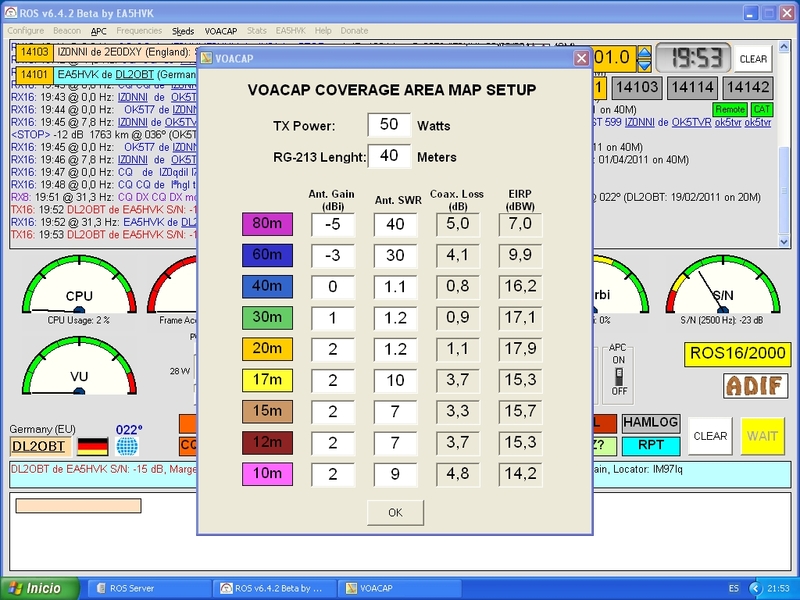 For a better use of VOACAP, ROS sends the EIRP for each Band according the features of your station. 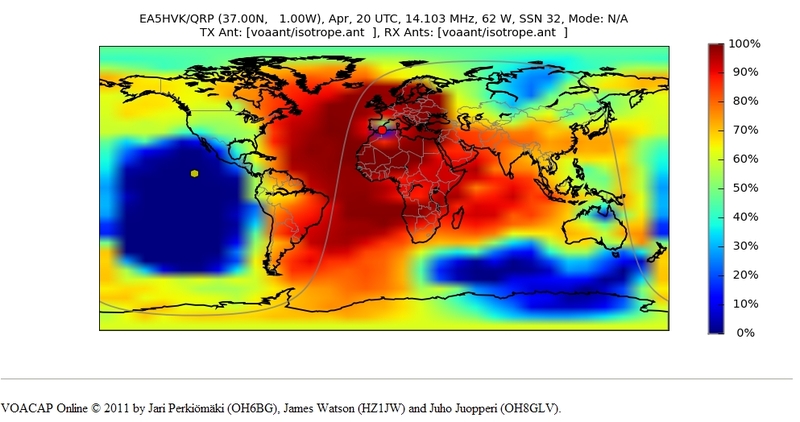 So, the power that appears in the Map is the EIRP, and the antenna will appear in the map as “isotropic”. 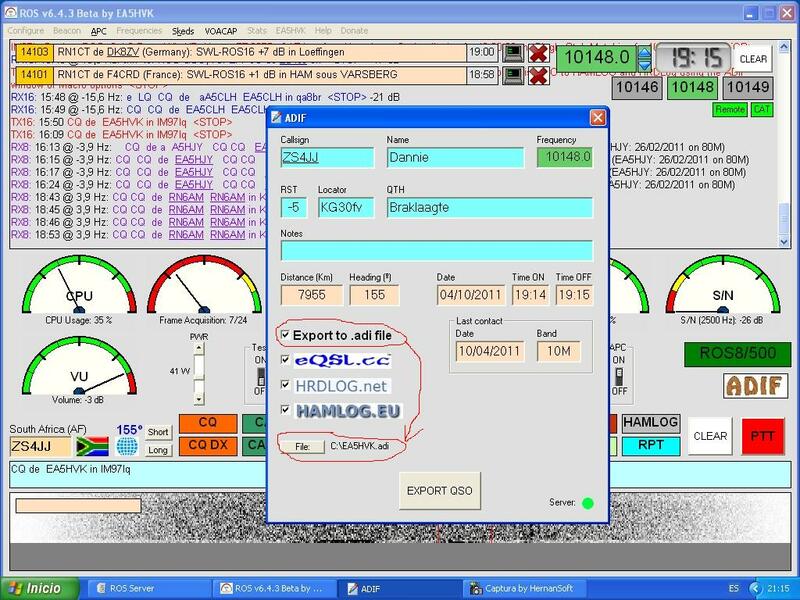 You must enter the Antenna Gain and others parameters to get the EIRP easily. Note: If you have an ATU close to antenna (on the roof) , set SWR as 1.0. If the ATU is in the Radio Shack, then enter the SWR measure in the antenna. Also, for the Antenna Gain, consider that it decreases if there are objects near the antenna. 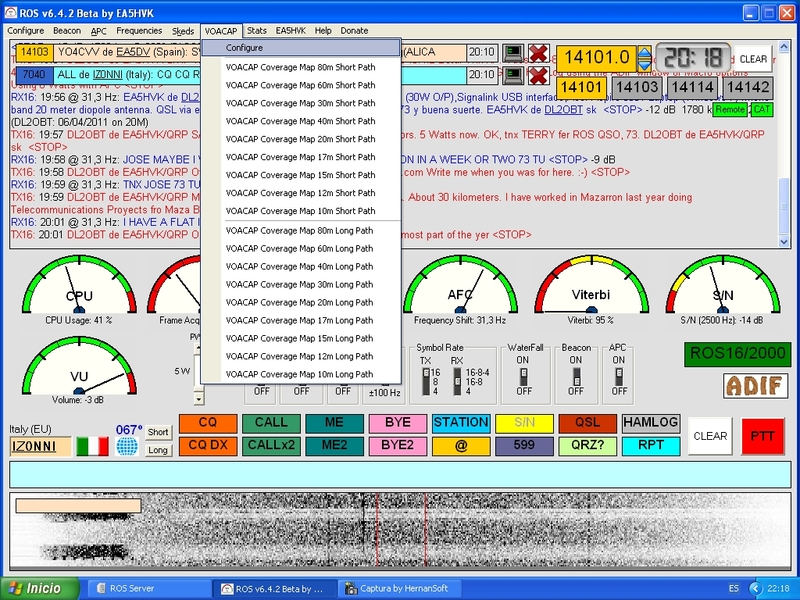 This service would not have been possible without the support of Jari Perkiömäk OH6BG. Thank you! 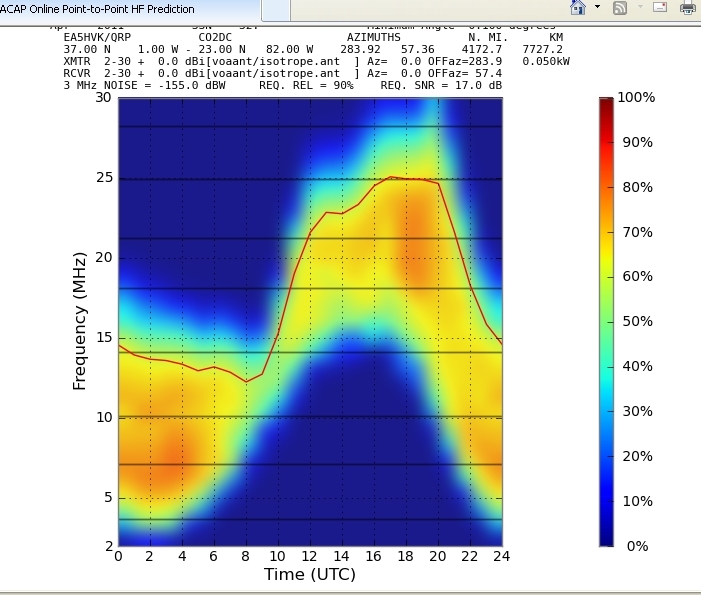 Example: EA5HVK–>CO2DC Prediction with 50Watts and Isotropic antennas for ROS Mode.